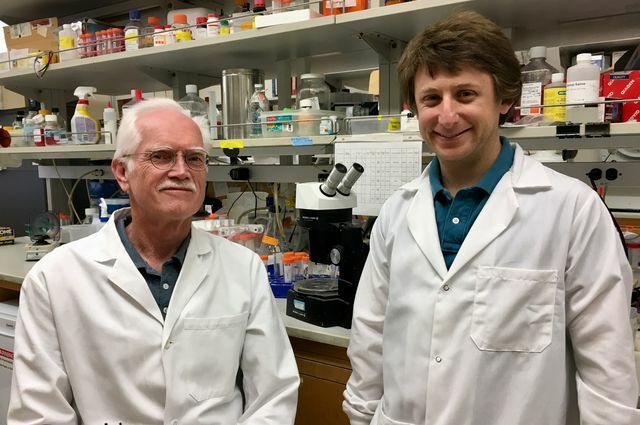 Jake Lusis, left, and Marcus Seldin developed a method to look for hormones that influence how different tissues communicate with each other. 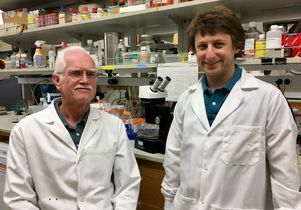 UCLA geneticists have created a technique to hunt for hormones that influence how organs and tissues communicate with each other. The method enabled them to find naturally occurring molecules that play major roles in Type 2 diabetes, obesity and cardiovascular disease. Two hormones called “notum” and “lipocalin-5” that speed up the body’s ability to burn fat. Lipocalin-5 protected mice from developing diabetes — or cured the disease after they developed it. Lipocalin-5 also enhanced muscle tissue’s ability to metabolize and absorb dietary nutrients, reducing the risk of obesity and diabetes. The findings could deepen scientists’ understanding of the mechanisms behind obesity and common risk factors for heart disease and diabetes. The researchers developed a data-driven approach to unravel the wide array of functions for hormones that circulate in the bloodstream. They initially identified and studied the hormonal networks in mice. Next they tested whether the functions they assigned to the hormones remained consistent in humans. The team discovered a strong overlap between these hormones’ functions in mice and humans. By studying how hormonal functions change in people with diabetes and cardiovascular disease, the scientists were able to identify new ways that tissues signal each other and restore normal communication. Future studies will address how the newly identified hormones in humans communicate between unrelated types of tissue. The investigators will also apply the new method to evaluate tissue-to-tissue communication across different ethnicities and diseases. The hope is to use these hormones as the basis for drug development — specifically to halt development of obesity and Type 2 diabetes. 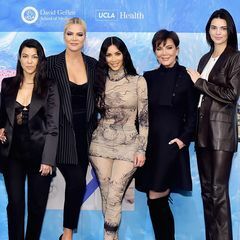 Authors include Jake Lusis, a professor of human genetics at the David Geffen School of Medicine at UCLA, and Marcus Seldin, a postdoctoral fellow in Lusis’ lab. They are available for interviews. The research was supported by grants from the National Heart, Lung and Blood Institute and the Leducq Foundation.